This is another project I did awhile back, but was lost to my temporary memory card loss. I was inspired by a pinterest pin that did basically the same thing with rolo’s for a valentine’s day gift. It is really quite straight forward and affordable to do, plus this is great for a huge range of ages! Best of all for me, the couple I had in mind at time both have names that start with T! So there you have it, T&T! For a list of coin values, please check out the Coin Roll Car post that I did a few weeks ago. The dynamite bundle is even easier to mix and match for values. Laundry is $1.50… easy peasy, give a roll of loonies and a roll of quarters. They don’t quite work out perfectly, but it’s a darn good start. First, line the coin roll up to the corner of the piece of paper. Next, mark how far it goes onto the paper with a pen or your fingernail. Do the same at the top corner. 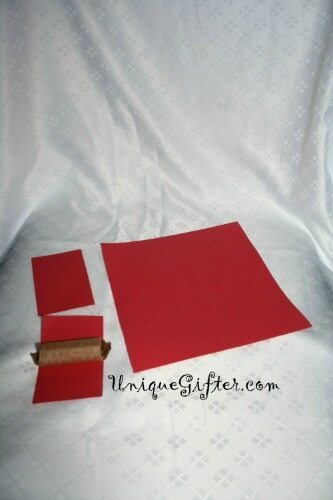 Fold the paper to this size and cut along the line. You could also use a ruler, draw a line and cut along it. I took the tape, let out a bit and then spun it until I had a very tight coil. 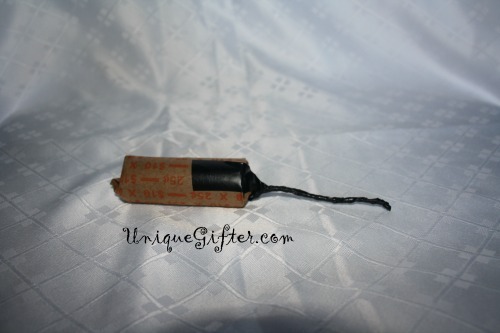 Then let out a bit more tape and attach the fuse to the coin roll. Make sure that it goes down a fair way, so that it adheres well and you are able to center it. Trim the top bit that you were holding onto. 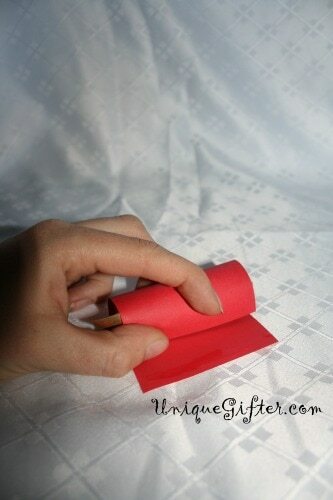 Take your red paper and coin roll, put some glue along the side of the paper and roll it up tight. Hold it for a bit, until the glue sets. 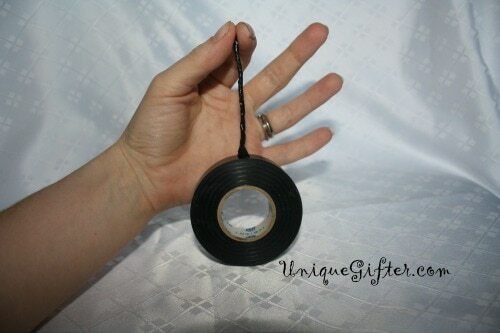 You could also do this with tape. 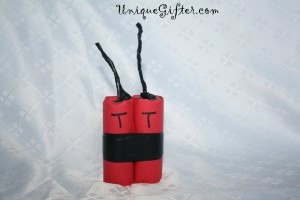 Now you have a roll of dynamite! 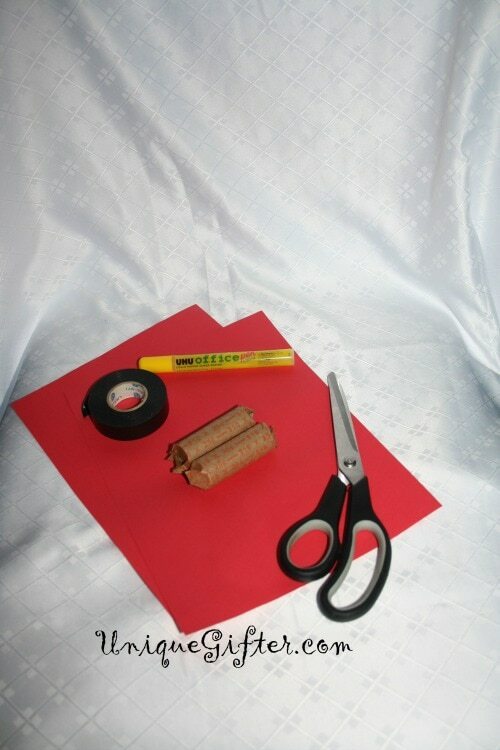 Repeat as many times as you want, then tape the bundle together. I added the TnT for fun. If you are using pipe cleaners, simply lay the pipe cleaner along the side of the coin roll, before you roll the red paper up. If you’re using a group of 3 or more, you could also stick the pipe cleaner in the middle once the bundle is glued together. Cute! Easy! Fun! Does this gift just blow you away? :-) Glad you like it! It's super, duper easy to do, too. I think it cost six cents… and left me with most of a sheet of red paper. That is very cute:) I think even my little ones could do that project! Oh definitely! With some help I think a toddler would be fine to do it!